How can reading progress be evaluated? Is Reading Workshop effective for all students? How does Power Reading Workshop fit with The Daily Five? 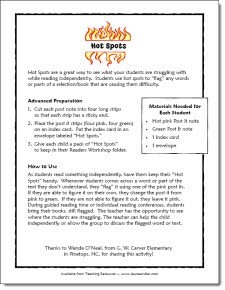 I’ve had such great success with reading workshop that I decided to create a step-by-step guide for upper elementary teachers. 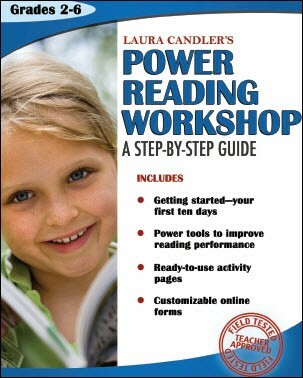 It’s called Power Reading Workshop, and it includes all of printables and resources needed to implement the program. Watch this book trailer to see why I developed this program and how it’s working for other teachers. I first learned about reading workshop from a variety of professional books, including the ones below. I highly recommend these books, even if you don’t use the reading workshop approach. Note: The links below are Amazon affiliate links. When you click on a link and make a purchase from Amazon, you’re helping to support the free resources I offer here on Teaching Resources. Thanks for your support! My Reading Workshop consists of a 10-15 minute mini-lesson on a particular strategy, followed by independent reading time. 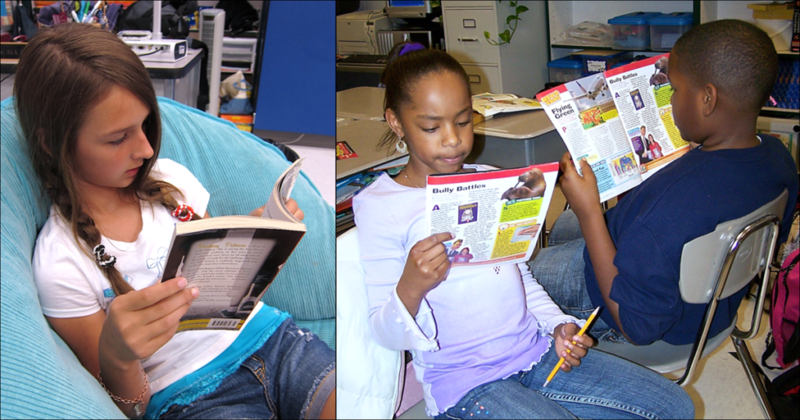 Students read books or magazines of their choice. Each day I meet with 5 or 6 different students and hold individual reading conferences. I have them quietly read a part of their book to me and I talk with them about the strategy we are working on for the week. 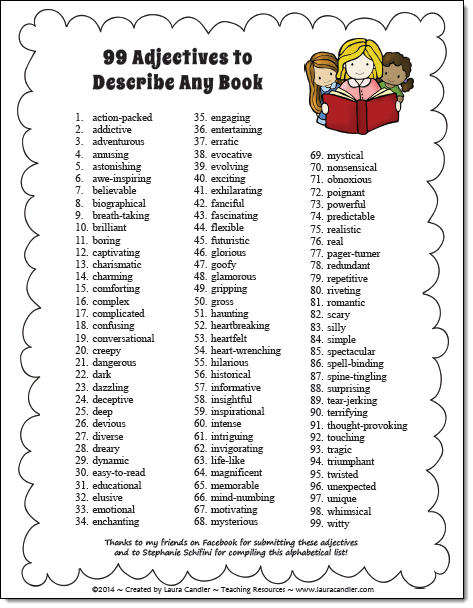 I record my impressions on a reading conference record form that I designed for this purpose. These strategies and many more are explained in great detail in my book, Power Reading Workshop: A Step-by-Step Guide. 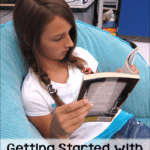 There are a variety of ways you can assess reading progress informally, but you will still need another formal assessment system such as running records. Many school systems require students to take regular formative assessments such as quarterly benchmark tests, and that data can be very helpful in monitoring progress. To assess students informally, I have had them write letters to me about what they were reading, make journal entries, and create graphic organizers. You’ll be holding individual reading conferences with students as well as some small guided reading sessions, so you can evaluate their progress through their participation in those activities. Reading Workshop has proven to be very effective, especially with moderately-proficient to advanced readers. In the year that I implemented the Reading Workshop fully, my class had a 95% passing rate on our End-of-Grade Reading test, and students overall made significant gains. More importantly, they learned to love reading for its own sake. As they became voracious readers, I noticed that they improved in other areas as well. Our class became a community of readers who loved to learn and learners who loved to read. I believe that Reading Workshop is extremely effective for students who are at least marginally proficient readers, especially students who CAN read but don’t enjoy reading. However, students who are unable to read at all will probably need more explicit reading instruction before they are ready for this model. Because of this limitation, some teachers use Reading Workshop with their proficient readers while continuing to provide more support and direct instruction with their non-readers. 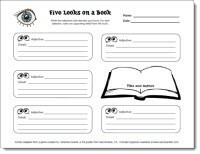 Many teachers are familiar with The Daily 5 and The CAFE Book by Gail Boushey and Joan Moser, otherwise known as “the Sisters.” They ask me how Power Reading Workshop fits with the components of The Daily 5. Having recently participated in a book study on The Daily 5, I can say that Power Reading Workshop deals specifically with the “read to self” and “listen to reading” components, and the strategies in my book target upper elementary students. I loved the ideas in The Daily 5, but I didn’t feel the total program fit my needs as an upper elementary teacher who was not able to spend 3 hours a day on literacy activities. 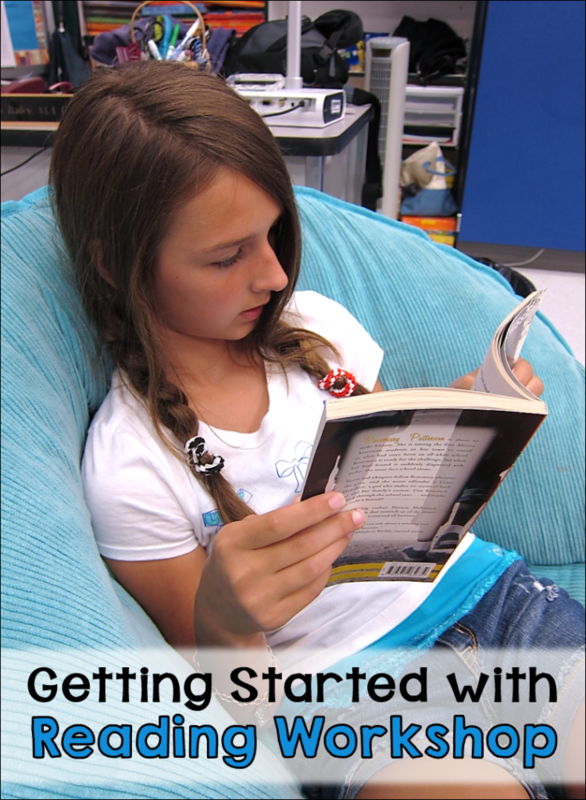 I also didn’t find enough in the way of step-by-step directions to get me started on reading workshop. I recently read The CAFE Book, which is a follow up to The Daily 5, and it provided much more in the way of specific directions about how to start and run a reading workshop. Interestingly, it appears that the book was published right at the time I was writing Power Reading Workshop: A Step-by-Step Guide! In The Cafe Book, the sisters mention that many teachers were asking for more specific directions for how to implement their program. Anyway, I loved the information that the sisters shared about how to conduct reading conferences with students. I highly recommend that book for all teachers (primary and upper elementary) who are using the reading workshop approach. In particular, I love their conference chart and icons they created to prompt them to record certain information on the chart. If you have The CAFE Book, the chart I’m referring to is on page 53. I created this CAFE Conference Quick Reference Guide to use with that conference chart to explain each of the five icons on the chart. I’m a visual learner, but at first I need the written words to explain each icon. You could put a copy of this chart in the front of your “Pensieve,” or conference notebook, to help you remember what to record on your conference form.